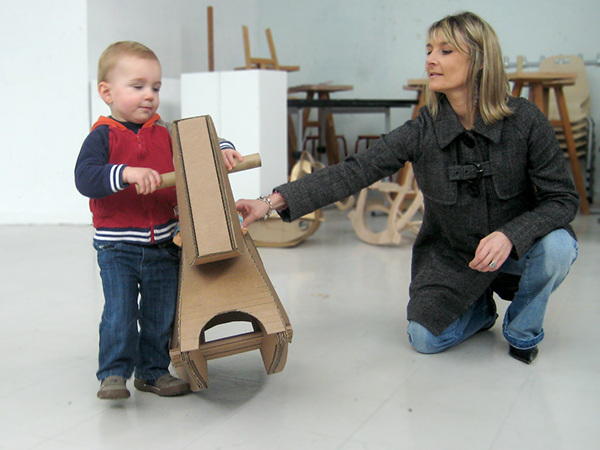 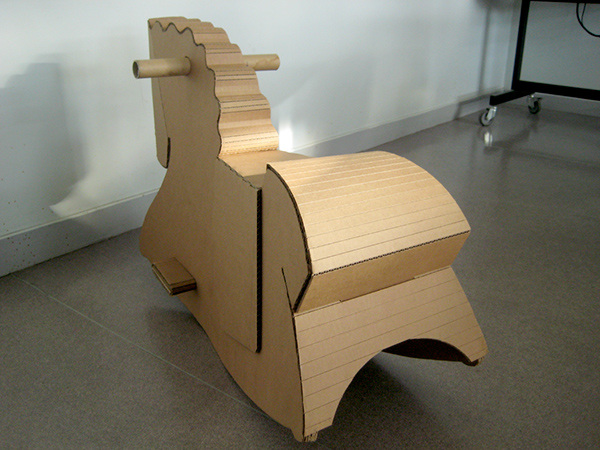 This early researches are intended to make the iconic wooden horse a simple, attractive and usable toy made from reused cardboard. 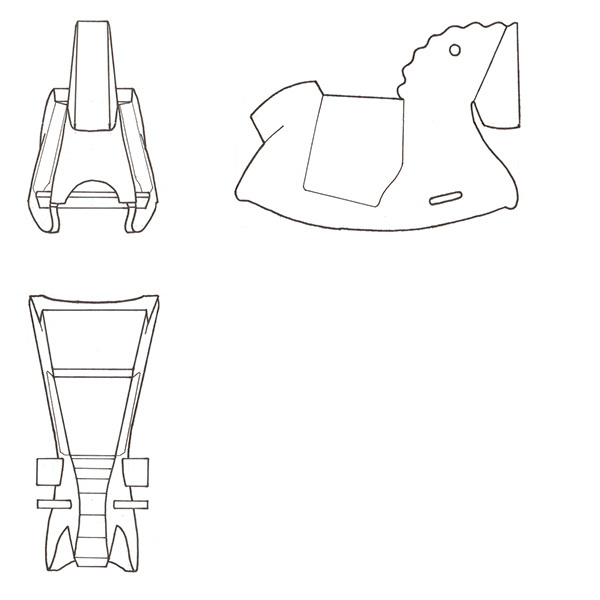 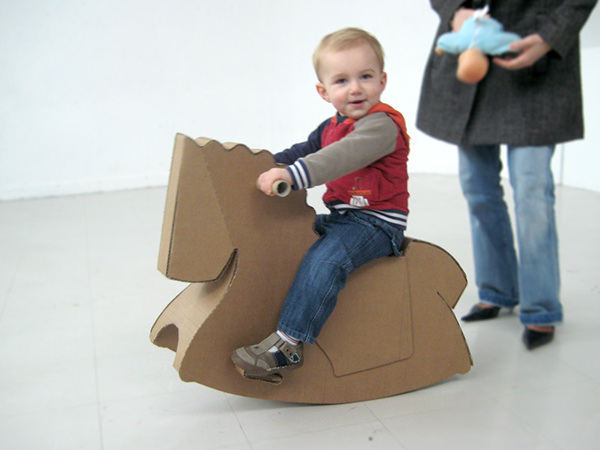 Shapes have been simplified to the maximum by making rounded curved profiles while leaving kids free to play with it and imagine there own riding story. 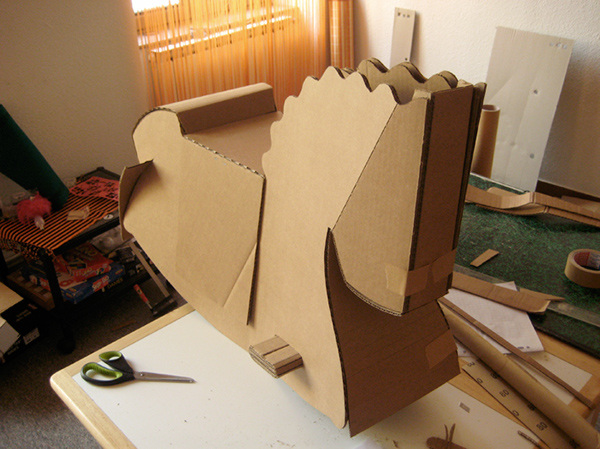 This quick full-scale prototype was the opportunity to test the capabilities of cardboard in real conditions, and to reveal some technicals aspects like ergonomy or safety. 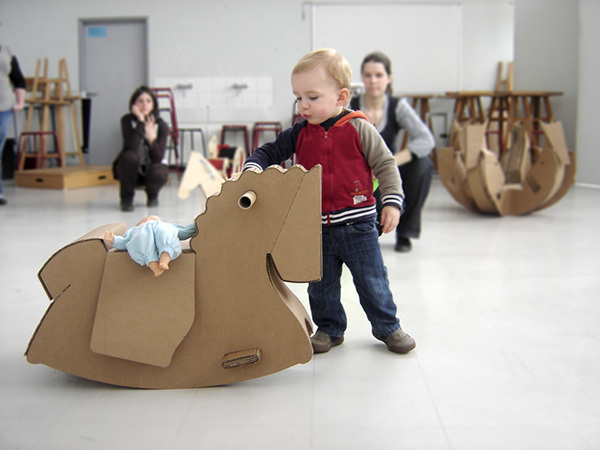 OEUF RÊKA, THE MAGIC PACK ! 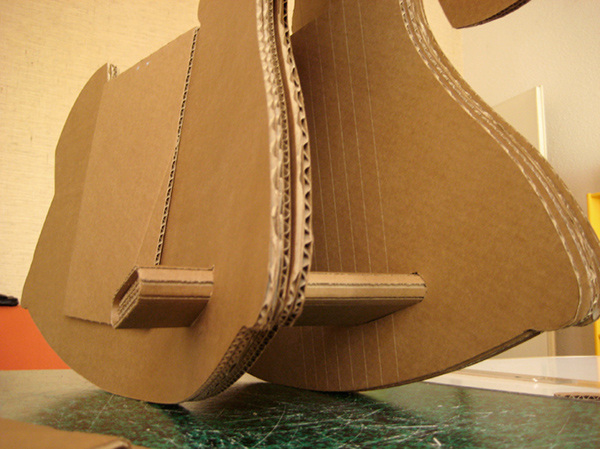 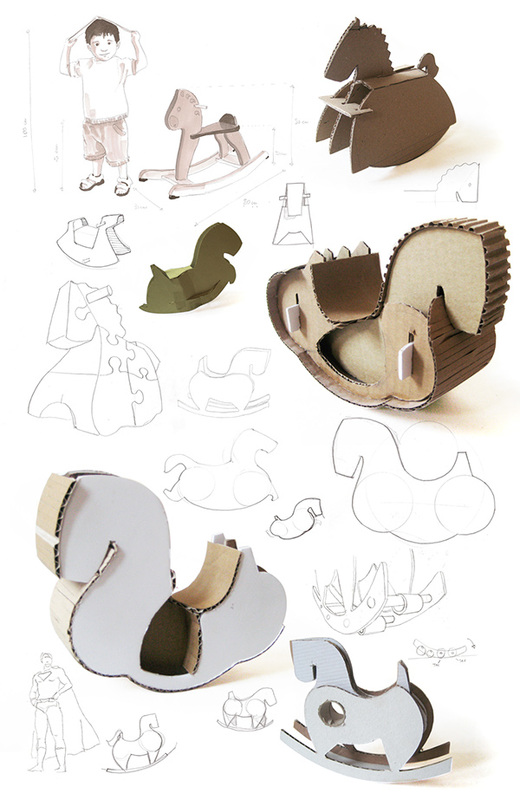 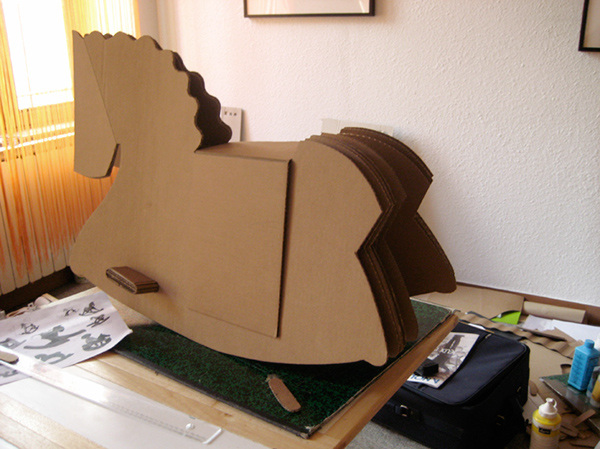 This early researches are intended to make the iconic wooden horse a simple, attractive and usable cardboard toy made from reused cardboard. 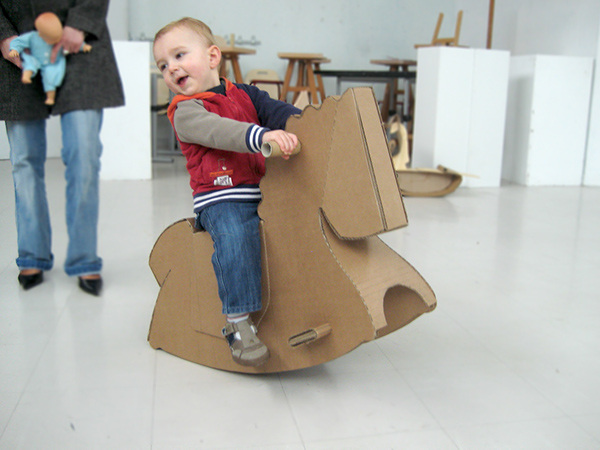 Shapes have been simplified to the maximum by making rounded curved profiles while leaving kids free to play with it and imagine there own riding story. 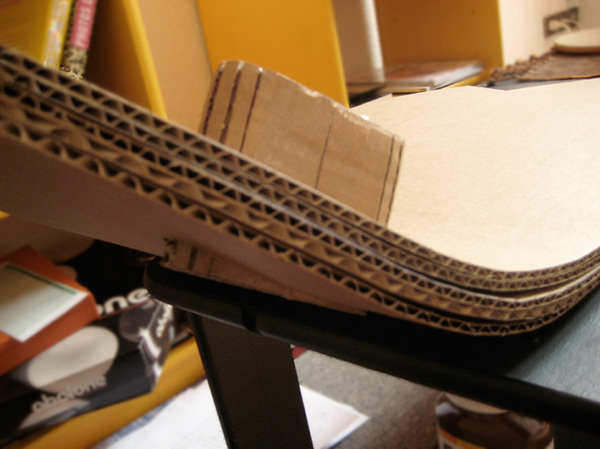 This quick full-scale prototype was the opportunity to test the capabilities of cardboard in real conditions, and to reveal some technical aspects like ergonomy or safety.